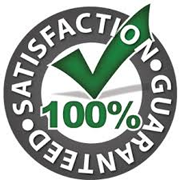 Shine Cleaning Solutions are driven by quality of service, rather than on sales or profit. In order to achieve this we are committed to meeting our quality standards. We continually look to improve and monitor the effectiveness of our quality management systems and procedures to provide an efficient, reliable and professionally managed service for our customers. Developing long term, mutually beneficial business relationships with our customers, service partners and suppliers. Identifying, implementing and maintaining cost effective solutions for our customers business needs. Treating our staff, customers, service partners and suppliers with respect, openness and honesty. Creating an environment that promotes a safe working environment for everyone. Ensure compliance with legal and other applicable standards. Supporting, mentoring and training our staff to support the delivery our services. Rewarding staff where consistently high standards are maintained eg performance based incentives. We recognise that the nature of the services we provide have the potential to impact detrimentally on the environment and therefore we are committed to monitor the products, machinery and transportation we use with a view to minimising any harmful environmental effects they may cause wherever possible. Minimising the use of chemicals, through the use of microfibre cloths and environmental cleaning products and methods. Using Water Fed Pole Window Cleaning Technology and pure water to clean windows which requires no chemical additives. Using energy efficient equipment eg equipment with autosave power reducing technology; HEPA flo filtration to trap fine particles (such as pollen and dust mite feces) which trigger allergy and asthma symptoms; battery powered low noise equipment etc. Minimising the amount of plastics to landfill by re-using and re-cycling bottle and using alternatives to aerosols to minimise emissions (eg solvents, odours). Minimising the use of energy and water consumption. Supporting and assisting customers in setting-up & developing their own recycling systems. Educating our staff about the company's environmental policies and practices and actively encouraging staff to recycle materials. 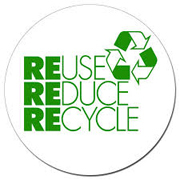 Using and providing consumable items such as toilet papers, bin liners etc which can be recycled or reused.